“Freedom of Information. Three harmless words. I look at those words as I write them, and feel like shaking my head till it drops off my shoulders. You idiot. You naive, foolish, irresponsible nincompoop. There is really no description of stupidity, no matter how vivid, that is adequate. I quake at the imbecility of it. Yet 7 months later, David Clark had lost his job and FOI had been placed under the notably less sympathetic wing of Jack Straw, the Home Secretary. The Home Office later produced a uniquely awful draft bill. There was a voluntary public interest test, which the Information Commissioner could not rule on. Safety information was protected from disclosure by no less than three broad exemptions. If no grounds could be found to block a request which had been received, a new exemption could rapidly be created without primary legislation. Most bizarre was the “right to pry and gag”. Authorities would be able to insist on knowing why someone wanted information – and to disclose it on condition they did not share it with anyone else. Just 18 months later, Mr Blair struck again. New regulations were proposed, drastically limiting the right of access. Requests can be refused if the cost of answering them exceeds certain limits, but only the time spent finding and extracting the information can be counted. The government proposed to also include the time officials spent thinking about the decision. Any complex request, or one raising new issues, would involve considerable ‘thinking time’ and so would be likely to be refused on cost grounds – freezing progress on openness. Another provision would have rationed the number of requests anyone could make within a 3 month period, limiting campaigners, and entire organisations such as the BBC, to perhaps one or two requests a quarter to any one authority. Bernie Ecclestone, the Formula One boss, had secretly donated £1 million to Labour just before the 1997 election. After the election he held private talks about a further donation. At the same time, he successfully lobbied Mr Blair to exempt motor racing from the proposed ban on tobacco advertising in sport. The affair led to allegations that Blair had lied to Parliament and to calls for his resignation. It was Labour’s – and Tony Blair’s – first scandal, deeply damaging to the new prime minister. 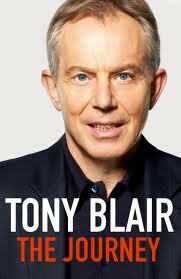 The memoirs suggest that Mr Blair’s objection to FOI is that it undermines candid discussions in government. But they also offer an alternative franker explanation. He and his government – like all prime ministers and all governments – sometimes behaved in ways they should not have done. He regrets giving the public a legal right to probe those shortcomings.